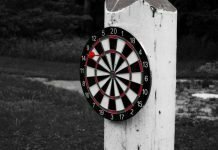 If you’ve invested in a nice dartboard, you’ll want it to last as long as possible. High quality dartboards are made from premium natural fibers, such as Kenyon sisal, that are designed to withstand countless dart games and last a very long time. But these boards, also known as bristle dartboards, still need some basic care and maintenance to make sure they don’t wear prematurely. 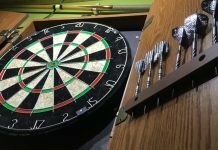 In this post, we’ll share a few steps to help you maintain your bristled dartboard and make sure it stays in good condition for the long haul. 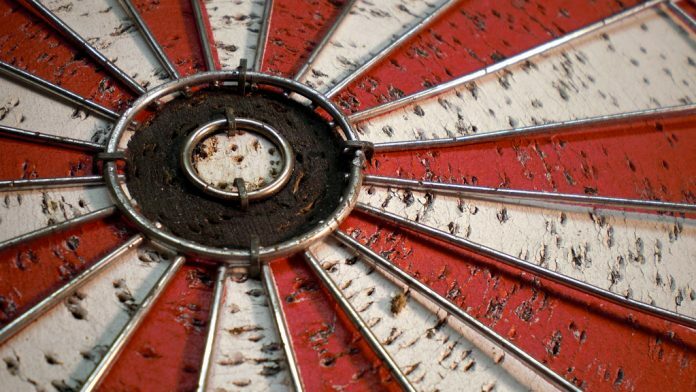 Certain parts of your dartboard are more prone to wear and tear than other areas. For instance, because they are targeted more frequently, segments such as the 20 and 19 will wear faster than other parts of the board. To prevent this uneven appearance and damage, make sure you rotate your dartboard on a regular basis. If you play often, this means rotating the board at least weekly. Bristle boards include a removable metal scoring ring. To rotate your dartboard, remove this ring and turn the board clockwise. You should rotate it until the next black section is at the top of the board. This would mean rotating the 12 segment to the 20 segment. Now replace the ring. Keep turning the board in this manner, so the 12 replaces the 20, each time you rotate the board. Rotating the board not only preserves the appearance of the board, it also keeps the bristles in better shape so you’ll have less bounce outs in those common Cricket and 01 numbers. Note that rotating the board does not change the position of the bull’s eye. If you’re wearing out the bull, then kudos to you. You may hear people recommend using water or other gentle liquids to clean a dartboard. But the tightly packed, natural bristle fibers on a nice dartboard are not supposed to get wet. Period. You should keep the board as dry as possible. This also means avoiding damp areas of extra humid spots where you hang the board. Try to keep it cool and dry if possible. Also, if you play darts outside, make sure you don’t leave the board out in the rain, or at least keep it in a protected dry area. Many of the new steel tip darts are precision engineered to improve grip, increase accuracy and reduce bounce outs. But some new designs can also wreak havoc on the bristle fibers. Steel tips with hooked ends, for instance, might set more securely in the board. But these hooked darts will tear at the bristle fibers when removed from the board. Over time, it will look like strings have been pulled from the board. Or, you may have a nice set of steel tip darts that have not been sharpened in a while and the tips have become blunt. A blunt tip will pack down the fibers on the board. These fibers are designed to naturally heal when the dart is removed. That’s why no holes are visible and the surface remains firm. Using a blunt tip can weaken the natural healing response and create holes on the board’s surface. Finally, dart tips can develop burrs or other inconsistencies if not cared for. With lower quality darts, this happens sooner. Make sure you check the dart to make sure there are no burrs before playing and sharpen them regularly. And change your dart tips regularly. 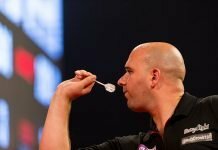 Try not to over sharpen the darts though. A very sharp tip can actually increase bounce outs or split the segments wires upon impact. Pulling the dart from the board can increase damage to the tightly packed bristle. With certain darts, the damage is worse. For example, you should never forcibly pull a mechanical steel tip dart from the board. 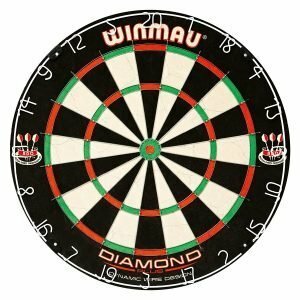 These darts have movable or retractable tips that set into board very firmly, which makes them great for reducing bounce outs and minimizing deflections. But the mechanical action also makes it harder to remove the dart from the board. And if you try to yank the dart straight out, it can damage the sisal fibers. Instead, simply twist the dart to remove it from the board. Usually I would say there is nothing wrong with having a nice cabinet and dartboard setup to showcase your board and keep things tidy. But make sure you don’t overdo it and use a heavy cabinet or fixtures that add too much weight without proper mounting. There are countless stories of beautiful dartboards that come crashing down because of heavy cabinets that weren’t secured to the wall properly. Just keep it simple and make sure the board is mounted securely. 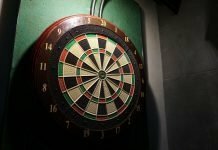 Learn more about how to find the best dartboard cabinet for your space. Also, go easy on the lighting. Make sure to also use some form of dartboard backing. This will protect your walls and provide a barrier between the board and wall, which can prevent warping. 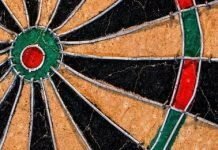 Following these simple tips will preserve’s your dartboard’s appearance and quality for many years to come.